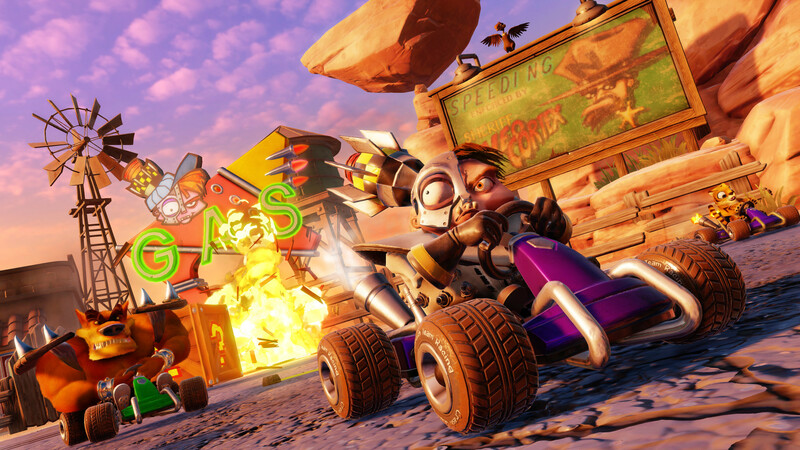 We took the updated kart racer for a joyride, and talked with developer Beenox about updating the beloved classic. Got the theme up on my channel if anyone is interested from preordering digitally. Just type in SegaSaturnSNK Crash Team and it should show up on search. Automatic Day 1. I hope a remaster of Crash Bash is in the works as well. That game was underrated and deserves to see the light of day again. If you check out the Playable Characters Podcast, they just interviewed the actual Crash Bandicoot last week. It was very funny. I hope they add more weapons. That was one of the main things I felt that left down the original. Plenty of room for creativity here or even have level specific weapons too might be an option. Either way, I cant wait to play the new version. Still play the old one and cant wait to rip up a modern sewer speedway! I really hope this game hits 60fps on PS4 Pro. 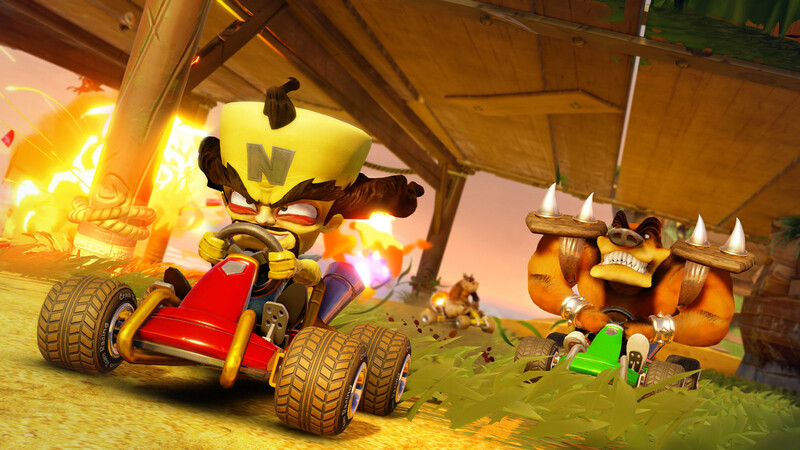 I love CTR, but if it really wants to compete with Mario Kart 8, buttery smooth framerate is a must. Will definitely skip or wait for a sale if not. Absolutely loved the original, can’t wait for this remake! The original was one of the best PS One games that I played.. I’ll definitely play the remaster. But in the image it seems that in remaster camera angle is a bit lower, why? I think the original camera angle was perfect. In the new angle character head block the small part of view. Cannot wait!!! Been a crash fan since I was a baby(I’m 20 now) crash bandicoot has been such a huge part of my life and tbh has changed it in many ways! I cannot wait to play this game for a looooonnnnnggg time. Already bought the nitrous oxide edition and a hard copy for my collection! See y’all on the track! OMG… I missed this soooo much. Loved this game. Used to play all day with my Family and Friends. It was very technical and highly competitive. I hope the game play and controls are exactly the same as the original one.